Wisconsinites are fiercely loyal to their sports teams, even supporting them during painful rebuilding years and financing new arenas. 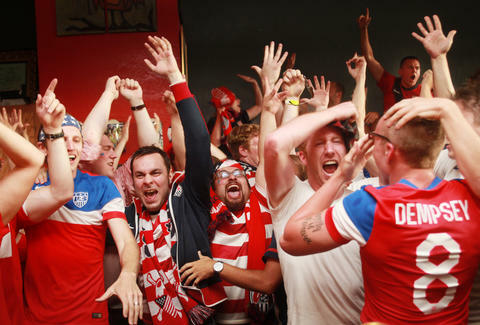 While the sad reality of this cruel, cruel world is that we can't possibly go to every game in person, we can always do the next best thing: head over to one of the best sports bars in Milwaukee. While our city may have more than its fair share of these establishments, not all Milwaukee-area sports bars are created equal: we found the spots that take it up a notch, offering up 10ft projection screens, fire pits, and game day deals on pitchers of wings... in addition to all the cold beer and Rodgers jerseys your little heart desires. Owned in part by the man who runs the popular, sports-themed barber shop next door, Gee's Clippers, Skybox serves just as much as a community gathering spot as a sports bar. Live music, TV show viewing parties, pop-a-shot basketball, soul food Sundays, and even hookah means you don't have to even care about sports to have a good time here. Though if there's a big game or fight on, every eye will be trained on the TVs, so fair warning. If you recently graduated from Marquette with a liberal arts degree, Leff's is probably already your home base. 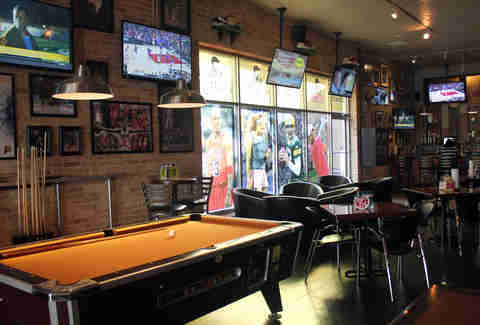 It gets packed for Packers and Badgers games thanks to optimal TV placement, as well as food and beer specials. 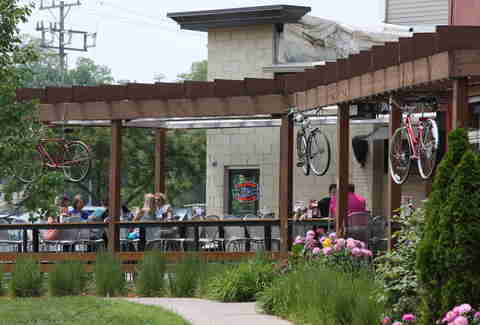 The fun often spills out onto the scenic patio, where the crowd tends to be less rowdy. Sometimes, Leff's even rents a giant LED screen-on-a-truck for outdoor viewing. 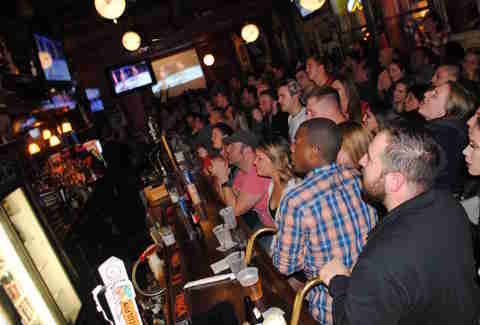 This bar sits on a stretch of Old World Third St that's full of taverns and restaurants, only a block away from the Bradley Center and Panther Arena. (Once the new Bucks arena is built, you'll have to walk another two blocks.) TVs line the wall behind the bar, but the projection screen at the end of the long, narrow space can be seen by everyone. 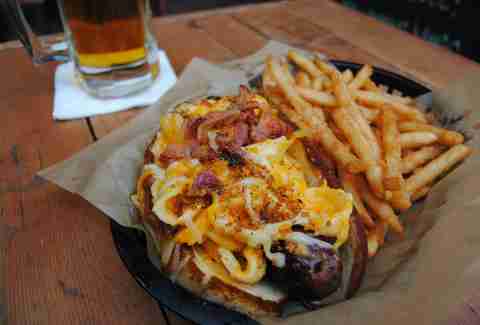 Get the mac & cheese and bacon-topped brat -- it's pretty much Wisconsin in a nutshell. Though the up north cabin theme -- complete with taxidermy and fish tanks -- may seem out of place in a sports bar, the vaulted ceilings with projection screens high on the walls make up for it. This place is raucous during games. There's different food and booze specials during each team's games, so whether you want a pitcher of wings or a fishbowl, you're covered. Don't let the size and age of the original bar area fool you when you walk in; Matty's is a modern wonderland of prime sports viewing spots. A large, greenhouse-like dining area leads out onto the patio, which is where the real fun happens. 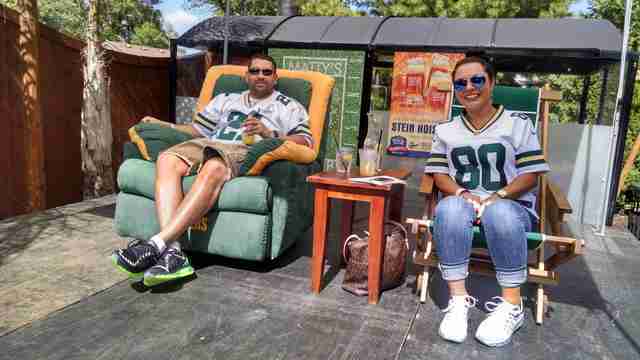 Outdoor TVs and fire pits mean you can pretend you're watching the Packers game at the frozen tundra even during December. There is not a single bad seat in the house at the sports bar in Potawatomi. The dining area is surrounded on three sides by soaring TVs and projection screens, so everywhere you look there's multiple sports in your view. There's always a ticker with the latest sports betting odds and results, if you're into that kind of thing. You are in a casino, after all, so you may as well partake. Right across the street from the Panther Arena, Goolsby's is always hopping before and after Admirals, Panthers, and Bucks games. It's been around for decades, and it's a little dingy, but the TVs have been updated, and really, isn't that the important part? If you're a fan of breaded wings, you'll be thrilled with the crunchy version here, topped with a buffalo-like sauce and a Cajun dry seasoning. You can watch any local team's games at Kelly's and have a great time, but it's Brewers games that really get the place hopping, mostly thanks to the free shuttle service they run to Miller Park, along with most of the bars on the same stretch of Bluemound Rd. 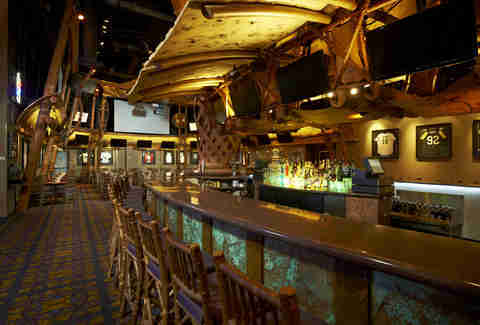 The Opening Day party here is a must, and when you get back from the game, use your ticket stub to get drink specials. Yes, this is an outpost of the TGI Friday's chain, but it's the most unusual one you'll ever see. 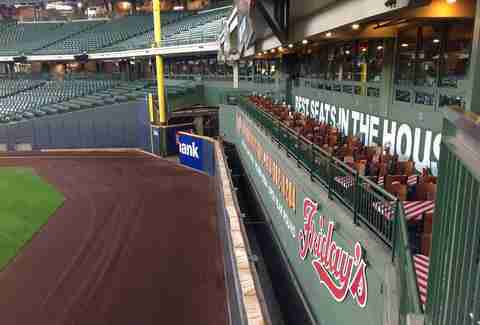 Located inside Miller Park, it's open year-round, not just during Brewers games. Why watch baseball on a TV when you can munch on potato skins and watch from the bar or the left-field patio? This spot is the make-your-own-adventure-story of the tavern world. It's a true sports bar, with memorabilia and TVs all over, but it's also a restaurant serving everything from ham sandwiches to lobster. There's no menu, just pick what you want from the cooler and discuss how you'd like it prepared. It's probably the best -- and priciest -- bar food you'll ever have. Don't settle for macro brews here -- though it does have them -- because there's plenty of micro bottles to choose from in the antique wooden beer cooler, a cabinet that matches the tin ceiling and stained-glass back bar from when the pub was built in 1889 as a Schlitz saloon. Thankfully, the TVs have made the leap to the 21st century, and there's even a 10ft projection screen, so you can see every pore on the UFC fighter's face. 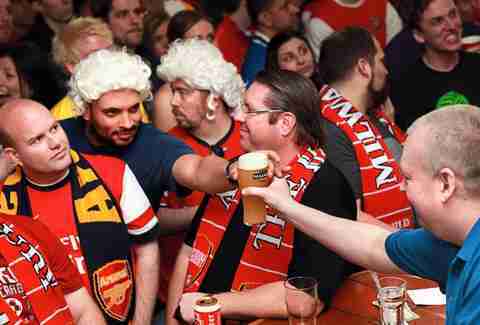 The Highbury is the place to go if you're a soccer -- sorry, footy -- fan. It opens at 6 or 7am on weekend mornings for matches, and you'd be surprised how many people pack into the bar that early in the morning. The beer selection is extensive, with a lot of choices from across the pond. It doesn't have a kitchen, but you might get a Pop-Tart with your Irish coffee in the morning. Sign up here for our daily Milwaukee email and be the first to get all the food/drink/fun in the Brew City. Lacey Muszynski is a Milwaukee native who wishes she had better sports bars in her neighborhood. Follow her on Twitter @worthhersalt.